It seems that Epic weren’t happy with their games going up on Steam after all. The developer has already switched to Midway, and now its back catalogue rights have made the jump too, dashing any hopes for the appearance of Unreal titles on Steam as part of Atari’s GamersFirst budget range. The range launched on June 1st and was meant to be available through Steam immediately; Epic’s apparent disgruntlement adds a second reason for the delay to its appearance after interface challenges. Ouch… Isn’t Midway just a sinking ship anymore? You’d think Epic would have more sense than that. Well, it is probable that this deal is to the advantage of Atari. Sure, they could probably make more money in the long run by keeping the publishing rigths, but they are probably getting a lot of money right now from this deal, and as far as I can tell they really need that money. “Unreal Anthology” could have been a really good steam-title but now we will never know I guess. I think speculating in the motives of Epic is a little out of place. There is no good reason why they would be unhappy with steam-distribution (unless they are ramping up a competing system of their own). I’m pretty sure the combination of increased atari-presence in retail due to gamers first, and exposure on steam would lead to higher profits for them. Midway have had a working relationship with Epic for ages, apart from publishing their games, the Unreal Engine is pretty much Midway’s sole development platform. If Epic weren’t happy with their games appearing on Steam (not entirely sure why), then the backcatalog jump couldn’t have been that hard to make. 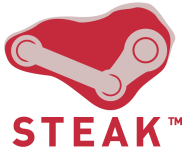 It seemed a little too coincidental that this should happen now, when GamersFirst was supposed to launch on Steam on the first. I’m sure there were other factors involved too, but I really don’t think Epic weren’t at the very least mildly peeved with the prospect of Valve getting a cut of their profits. I told you awhile ago that Epic has the publishing rights and took them with em when they switched to Midway (months ago). This isn’t anything new. Bahh, since I can’t edit I’ll double post sorry. What I ment to say is that Epic/Midway would have probably bought up those rights when Epic jumped ship months ago. If that’s true, why did they only just announce it? You don’t always announce deals right away, or negotiations on price and what not might haved “held” it up. I don’t think this is “too much of a coincidence”. The root cause of this is that Atari is in a lot of financial pain and will do anything to earn money. That fact leads to “selling everything on Steam” and “selling the old Unreal publishing rights to Epic’s new publisher”, rather than those two being interconnected directly.